The Jin-ai Education Academy was founded in 1898. 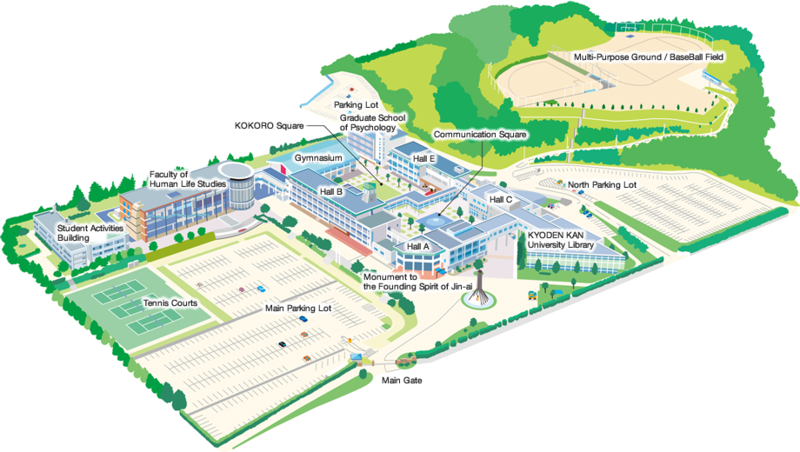 The Jin-ai Education Academy is comprised of a kindergarten, girl’s high school, women’s junior college and the university, which is co-ed. In its original Japanese, 仁愛会教園 (Jin-ai Kaikyouen) means Jin-ai Association of Teaching Gardens. The main tenet is that students, much like flowers in a garden, need attention, care and the proper environment in which to flourish. Jin-ai’s educational philosophy stems from Buddhist teachings and ideology. The overall essence of this philosophy is best represented in the statue symbolizing 釈迦 (Shaka) or Buddha’s birth. The right hand is raised toward the infinite universe. This signifies that all life around us is limitless, interconnected, and of the same energy or life force. The left hand pointing to the ground signifies our connection to the reality of the world around us. From the realization that we are all connected comes the courage to make one’s life a light that shines bright for the benefit of all humanity. Inscribed on the university’s main gate is the message: Harmony Is The Light Of A Vibrant World. This message and the educational philosophy at Jin-ai leads one to question – “What does it really mean to live?” This question and the pursuit for the answer are central to all research, education and extracurricular endeavors undertaken at Jin-ai University. How we think and communicate is at the heart of what it means to be human. The Faculty of Human Studies challenges students to consider the processes of the mind and human communication in depth. Teaching methods are practical and active, with an emphasis on strengthening society. Students learn how to identify contemporary issues and act constructively to resolve social problems. Combining research and theory, students explore effective ways to deal with issues involving the human mind. Specific areas of study include: the observation and analysis of human behavior, workplace mental health, family psychology, and consumer psychology. The focus is on clinical theory and practical counseling methods. Students conduct scientific research and examine principles of behavior in order to understand how specific variables affect our daily lives. Qualified undergraduate students and eligible students from other institutions who want to continue their psychology studies may enroll in the graduate school program, which leads to accreditation as a clinical psychologist. In this age of globalization and internationalization, graduates with superior communication and organizational skills are in high demand. The Department of Communication offers three major areas of study that prepare students to become resourceful, creative individuals in the modern business world. In the Planning and Representation track, students learn how to plan a wide array of events and projects. Emphasis is placed on developing a fluid skill set and a creative imagination well suited to a variety of professional environments. 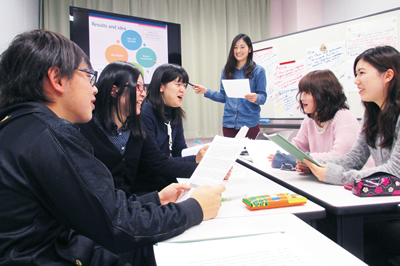 In the English Communication track, students improve their existing English skills while using English to examine the business world and multiple levels of society from an international perspective. 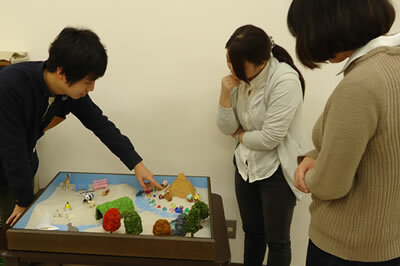 In the Contemporary Society track, students explore the nature of contemporary human relations. Investigating language and culture, they gain the knowledge and approaches necessary to succeed in an ever-changing society. Good health and proper education are the result of how we live our lives: this principle is the basis of the curriculum offered by the Faculty of Human Life Studies. Students acquire professional qualifications in the areas of health and nutrition or child education. Classes in both departments balance theory and practice. The departments work cooperatively with each other. Specialized training prepares students well for the challenges of their chosen fields. Issues of health and food safety are a real, ever-present concern, requiring experts who know how to protect the public’s well-being. Students may pursue qualifications as nutritionists, nutritional educators or registered dieticians. 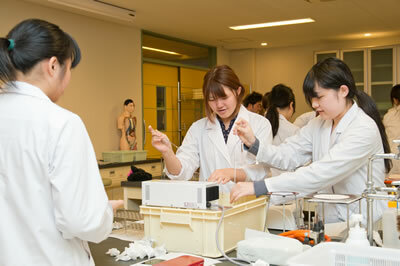 Areas of study include nutrition, food chemistry, healthcare nutrition and clinical nutrition. Along with classroom learning, students receive practical training in a wide range of environments where specialists are needed, including hospitals, health and welfare facilities, and educational institutions. Students can become licensed or certified as elementary school teachers, kindergarten teachers, nursery/primary childcare workers, or child welfare advocates. Studies focus on current theory and methods related to early child support and education. In addition, students take part in practicums in various educational institutions and facilities, where they learn firsthand how child education and childcare professionals work with parents, other professionals, and the greater community. Students graduate from this program with specific training in their chosen specialty, as well as an understanding of the roles of professionals and volunteers in child education, childcare and child welfare. Clinical Psychologists aim to understand the root causes of abnormal behavior and mental illness through scientific research, theory and practical experience. In addition to psychology, the field of clinical psychology takes into account relevant contributions of research from other areas of human studies, including anthropology and sociology. Students in the graduate program study, conduct research and receive practical training within a curriculum that upon successful completion leads to professional certification as a clinical psychologist. The library is a state-of-the-art facility. Its collection is ever-increasing, with a capacity to house upwards of 15 million books. There are numerous desks for private study. Classrooms and reading rooms on the second floor accommodate larger groups. Also on the second floor is an Active Learning Space equipped with multimedia devices to aid students and visitors. The library belongs to the interlibrary loan service, which allows visitors to search for and request materials from other libraries within Fukui prefecture. The English Education Center was established to help all students at Jin-ai University improve their overall English ability. It consists of three spaces. The E-Lounge houses a collection of books and other media and also serves as a classroom and event space. The Center Room includes the administration office and consultation services of the center. Students who wish to study abroad, inquire about formal tests, or get advice about group or self-directed study can come by anytime during office hours. The CALL Room provides access to a variety of computer-based and online learning tools. Besides these ongoing activities, the center offers events and lectures throughout the year which are open to all students, staff, and the general public. 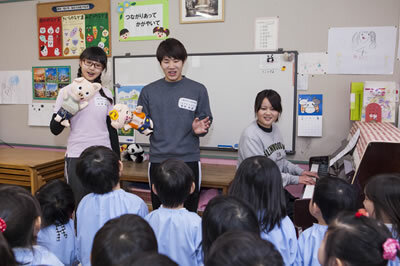 Founded under Jin-ai University’s guiding principle that “The development of humanity is the sum of person-to-person interactions,” this center strives to meet the career and employment needs of every Jin-ai student. 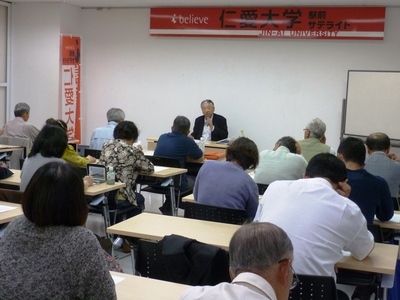 Established on Jin-ai University’s 10th anniversary, this center promotes cooperative activities between the school and the regional community. The main purpose of the center is to develop educational material and promote research related to Jodo Shinshu Buddhism, which is the most widely practiced form of Buddhism in Japan. Copyright © 2004 - 2019 Jin-ai University. All rights reserved.